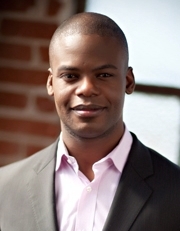 Winner of the prestigious Avery Fisher Career Grant, Demarre McGill is a leading soloist, recitalist, and chamber and orchestral musician. A native of Chicago, McGill began playing the flute at age seven. He attended Chicago’s Merit School and was a member of the Chicago Youth Symphony Orchestra. At age 15, he appeared as a soloist with the Chicago Symphony. McGill received a Bachelor of Music degree from the Curtis Institute of Music where he studied with Julius Baker and Jeffrey Khaner. He continued his studies with Baker at The Juilliard School, where he received a Master of Music degree. McGill has appeared as a soloist with the Philadelphia Orchestra, Pittsburgh Symphony, Dallas Symphony, San Diego Symphony and Baltimore Symphony. In September 2017, McGill returned as principal flute of the Seattle Symphony. He previously served as principal flute of the Dallas Symphony, San Diego Symphony, Florida Orchestra and Santa Fe Opera Orchestra. He recently served as acting principal flute of the Metropolitan Opera Orchestra. As a chamber musician, McGill is a founding member of The Myriad Trio and is a former member of Chamber Music Society Two. He has participated in the Santa Fe Chamber Music Festival, Music@Menlo, Marlboro Music, La Jolla Music Festival, Seattle Chamber Music Festival and Stellenbosch Chamber Music Festival in South Africa, among others. McGill is the co-founder and artistic director of the chamber music organization Art of Élan. In 2014, he founded the McGill/McHale Trio with clarinetist Anthony McGill and pianist Michael McHale. The trio’s first CD, Portraits, was released by Cedille Records on August 11. Media credits include appearances on PBS’s Live from Lincoln Center, A&E Network’s The Gifted Ones and NBC’s Today Show and Nightly News. McGill also appeared on Mr. Rogers’ Neighborhood with his brother when they were teenagers.